Sherry is one of the most talented sewers in blogland as well as one of the kindest women I have come across - always visiting and leaving the sweetest comments. She is one of a kind! 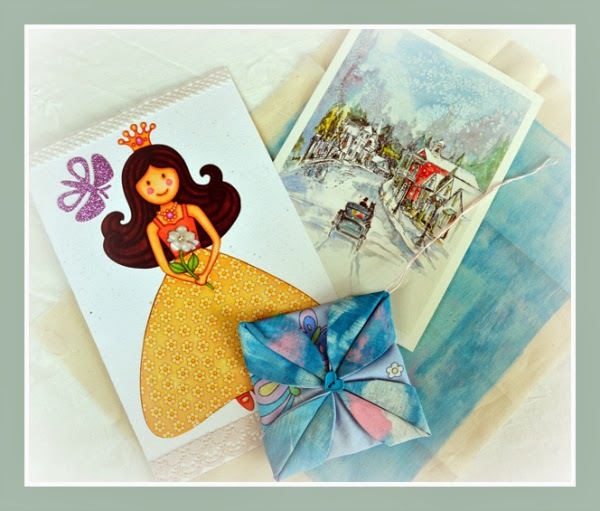 These gifts really showcase Sherry's talents in card making, sewing and now gelli plate printing in all your favorite colors Terri. You are such a lucky girl! you recieved so sweet and wonderful gifts from Sherry. She is truly a very kind and sweet lady, I know that,too. Alwayes there with a kind and loving word, and alwayes concerned. She is a wonderful blogfriend. So good to hear you have been feeling better my friend. Sherry gave you some real treasures, all just wonderful! You've got a true friend!